If you’ve ever used a photo-retouching app to smooth away wrinkles, creases, and volume loss for your selfies, you probably wish you could do something similar in real life. A liquid facelift at Omega Medical in Florham Park, New Jersey, creates the same effect by restoring your skin with dermal fillers that replenish essential building blocks such as hyaluronic acid and collagen. Skilled physician Dr. Amit Chitalia uses his medical and aesthetic expertise to select the perfect dermal fillers to re-contour your face and smooth away wrinkles. 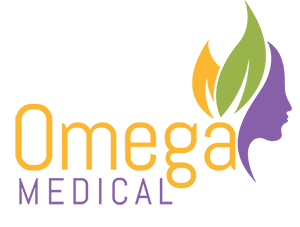 Call Omega Medical today or book a consultation online. Your expert aesthetician can also smooth out acne or other shallow scars and rejuvenate sagging earlobes with dermal fillers. What do HA dermal fillers do? Dermal fillers made of HA instantly restore volume to your face. Hyaluronic acid is one of the key components of your skin and helps to keep it moist and firm. As you age or are exposed to the sun’s UVA and UVB rays, HA breaks down, leading to skin that’s saggy and thin. Thin skin is more susceptible to wrinkles, creases, and folds. Your Omega Medical aesthetic professional chooses HA fillers from the Juvederm®, Restylane®, and Belotero® Balance collections based on your needs. The HA fillers last from six months to more than a year. What do collagen-inducing fillers do? Collagen fillers such as Sculptra® Aesthetic and Radiesse® contain tiny, absorbable microparticles. When injected into an area of volume loss, the microparticles stimulate your skin to produce more collagen and elastin. Collagen and elastin are the essential proteins in your skin that give it strength, thickness, and elasticity. As with HA, collagen and elastin diminish with age and sun damage. Over weeks to months, your skin becomes noticeably firmer and more lifted as it’s rebuilt with new collagen and elastin. Collagen stimulators last a year or more. When you’d like to firm up, smooth out, and lift your face without surgery, your Omega Medical professional creates a liquid facelift by combining several dermal fillers with injectable Botox®. This minimally invasive procedure creates a dramatic rejuvenation without downtime. To rejuvenate your face and hands without surgery or recovery time, contact Omega Medical for a dermal filler consultation. Book one online or call the friendly staff.